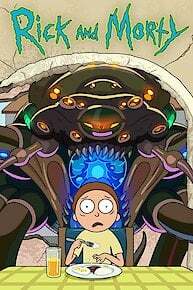 In this animated comedy, a demented scientist involves his grandson, Morty, in his unwise and dangerous experiments, much to the chagrin of Morty's parents. The tone and humor of the series is typically dark and ironic, making it especially appealing to the cool crowd. The series debuted on the Cartoon Network in 2013. Rick goes toe-to-toe with the President in this one broh. After a long, stressful adventure, both Rick and Morty decide that they need a break. Morty messes up and Summer and Jerry try to improve their family ties. Jerry falls ill. The television is sparked up by Rick. Rick don joins in on some fun and games. Beth and Jerry sort out their relationship. Rick, Morty and Summer are thrown into a quantum-uncertain state after restarting time. Dan Harmon no longer thinks child sexual assault is funny. The hit animated series is going to be around for a long, long time. Ready to start watching the series everyone is talking about? Here's the best place to start. Rick & Morty Fans: Stop What You're Doing. This is not a drill. Dan Harmon finally caved to fans on Twitter with a surprise release of the first episode of season 3, on April Fool's Day, no less. Rick and Morty is currently available to watch free on Adult Swim and stream on Adult Swim. You can also stream, download, buy, rent Rick and Morty on demand at Amazon, Hulu, Vudu, FuboTV, Google Play, iTunes online.